When you start baking your own homemade dog treats, it's a good idea to review lists like our List of Foods Poisonous to Dogs. You want the special treat to nourish your dogs body, not be harmful in any way. That's why we're taking a moment to discuss pet first aid and poison prevention. No one ever wants to think of their sweet baby in harms way. However, you can rest easier knowing that if your dog ever had an emergency, you would be prepared. Or, you can purchase a well reviewed pet first aid kit from Amazon. An additional step is to familiarize yourself with some common household remedies for your dog. This way you can treat minor things at home, or ease discomfort while making your way to your local Vet. Plus this first aid book for dogs teaches the basics in pet CPR and what human medications are good, and bad, for your dog. Besides being prepared with an emergency kit, it's also a good idea to get acquainted with the ASPCA's Top 10 Pet Poison Prevention Tips to know if you have any foods, plants, garden supplies or other household items that need to be removed from any possible pet contact. We know that you love your dog, so take a moment to ensure that she is safe, and well taken care of in case of an emergency. The world's largest dog show has started. Curl up with your favorite four legged pal and cheer on the many contestants for best breed, flyball, agility and so many more! Catch the last couple days, and the main attraction of the Best in Show competition this Sunday, March 8th. Our Featured Fan for the month of March is Bella. From the picture her mom sent, she looks like a beautiful black lab. 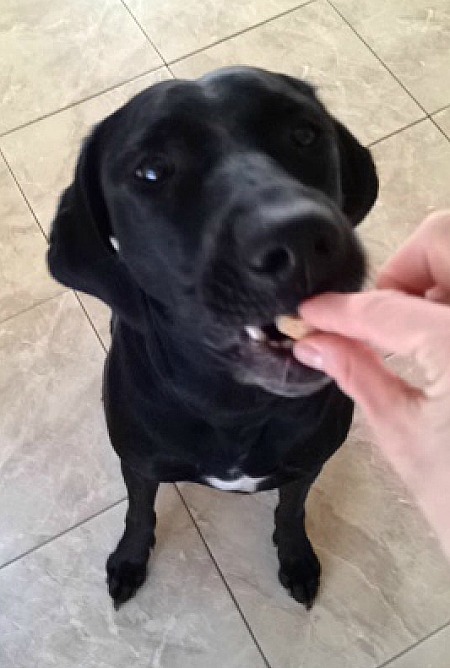 Her mom Amy, has this to say: Bella loves Three Paws Up treats. Her favorite are Peanut Butter Pups. "I love this site. Have made a few of these cookies for my granddoggies and they love them! Thank you!" "I love your site and the recipes are great - my dog and the other testers I know have loved every single recipe I have tried! 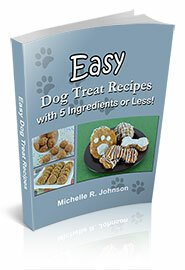 Even the dog whose human says is very picky about treats, loved the treats made with oat flour."